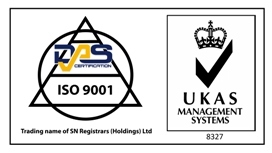 Having spent the last 30 years in quality system management but with no knowledge or past experience of GDP, Dave demystified the whole of the EU and MHRA guidelines which allowed me to cross relate it to ISO 9001 and ISO 13485. I am now in a position to adopt the requirements of all three standards/regulations into a new integrated QMS for my company. This is in reference to Mr. Dave Rushton from Paradigm, Shift Consulting. I can confirm that I have known Dave since 2009 and have since then worked with him in his consultancy role. Since we met, we have both been working as Responsible Person – him on a consultancy basis and me for the Company I work for. We have used him twice for training and consultancy in our Company, contributing to our compliance with GDP on our WHA(H). However, on many occasions we have had informal discussions about said requirements, often influencing our ways of working and helping us comply with GDP requirements. I have found Dave very hard-working and diligent. The knowledge and insight he has on GDP and WDA(H) requirements, has helped us develop our standards of working and comply with MHRA requirements. We have also used him twice (Oct 2014 and Nov 2016) to deliver training to our team on the GDP requirements; and both times we had excellent feedback regarding his knowledge, professionalism and insight in GDP matters. He is highly organised, has great communication skills and I have always been very impressed with the way that he has approached work. His auditing capabilities, in terms of applying GDP requirements to different operating procedures, are exceptional and I am aware of many innovative methods he uses to help different organisations achieve said standards. As I have known Dave personally and professionally since 2009 I trust him in his consultancy role with Paradigm Shift and would recommend him to anyone requiring help and advice regarding GDP and other MHRA matters. If you have any specific questions, please feel free to contact me for more details.